One of the best android smart watches is the Samsung Gear S3 and offers up two designs. There’s the more rugged Frontier for outdoor types, and the Classic, which aims to be the more luxurious option of the two. 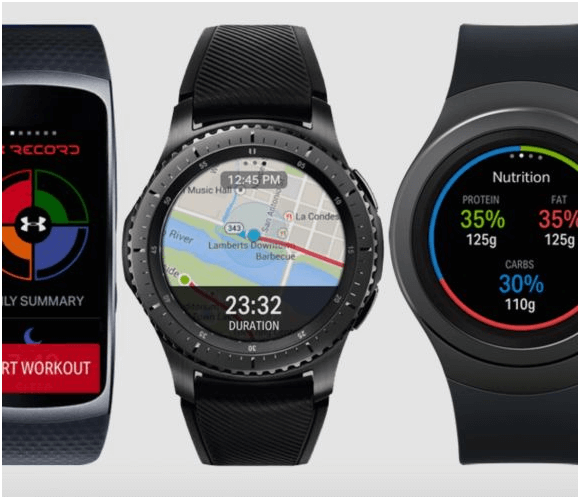 Both run on Samsung’s own Tizen operating system with the rotating bezel and added features like built-in GPS for sports tracking and sending out SOS alerts, a speaker to make calls, Samsung Pay to, well, pay for stuff from your wrist, and a bigger battery. Samsung rolls out regular software updates to improve the Gear S3 Frontier and Classic watches. 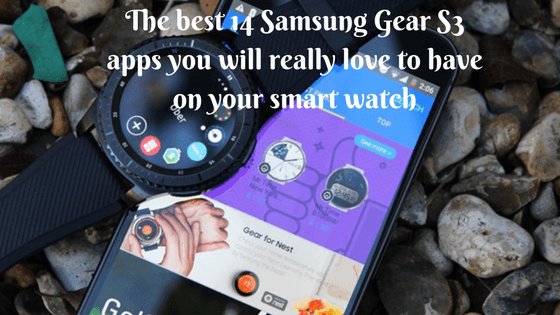 As far as apps are concerned WhatsApp and Facebook Messenger are still only offering limited support, but there are a handful of worthy contenders to download so here are the best 14 apps that you can have on Samsung’s smart watch. The Gear S3 now has an official Spotify app to allow you to enjoy music from your wrist through Wi-Fi or LTE. 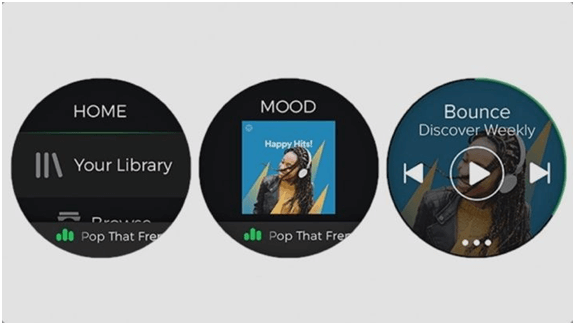 You’ll be free to browse through a catalog of over 30 million songs and play music from your own library of playlists, charts and search for tracks on the app, with offline support for Android users also now in tow. 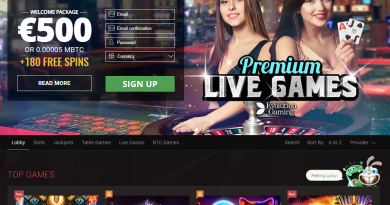 This allows Premium users to listen to saved playlists even when not connected to an internet source. 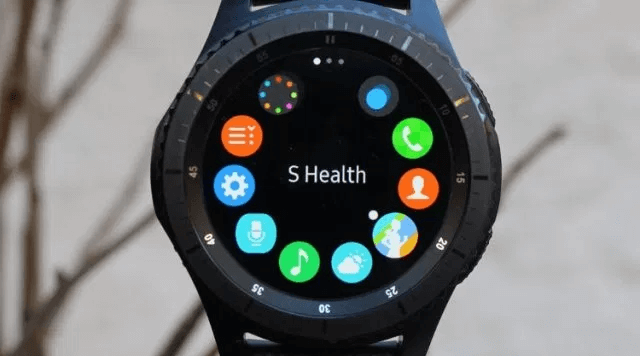 This app is compatible with Samsung Gear S2, Gear S3, and Gear Fit 2 with galaxy devices on Android 4.3 and above that have a minimum of 1.5GB RAM. 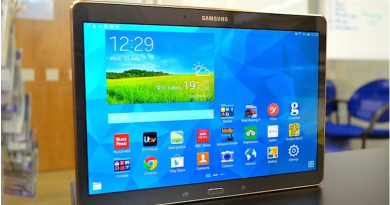 Non-Galaxy devices on Android 4.4 and above that have a minimum of 1.5GB RAM. Note: Samsung Gear S2 and Gear S3 also require Tizen firmware version 2.3.2 or above. This is beautiful app if you want new watch faces and be a bit stylish. 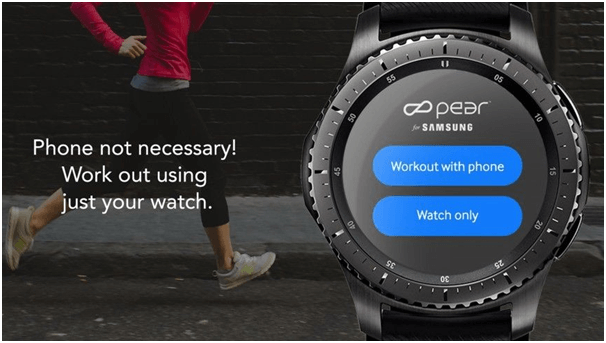 After flexing its customization skills on Android Wear, Facer app is available for Samsung’s Tizen-running smartwatches. 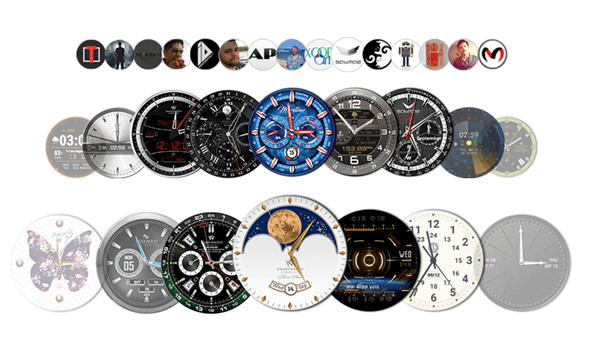 You can pick from over 15,000 different watch faces specially designed for the Gear S3 or you can have a go at creating your own through the Facer Creator portal where you can add in any images, pick different fonts, watch hands and drop in your favourite watch widgets. Uber, ridesharing app is for fast, reliable rides in minutes any time of the day. There’s no need to park or wait for a taxi or bus. With Uber, you just tap to request a ride, and it’s easy to pay with credit or cash in select cities. Whether you’re going to the airport or across town, there’s an Uber for every occasion. Uber is available in more than 500 cities worldwide—download the app and take your first trip today. WIth S3’s version of the cab-hailing app dragging the marker to your chosen pickup location is easy, while the rotating bezel lets you zoom in and out of the map, and scroll through your choice of ride, be it a Pool, SUV or just a regular Uber X. An unofficial app previously let you control your home from the wrist, but now Nest has unveiled its own app for you to enjoy. 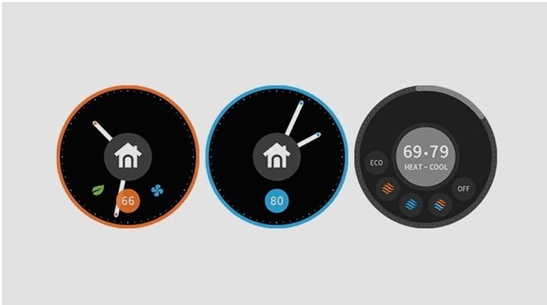 This allows users who own the Nest Learning Thermostat to monitor temperature, set the device status to ‘home’ or ‘away’ and even control the heat through the watch’s rotating bezel. Click here to know as how to install this app on your Android watch. 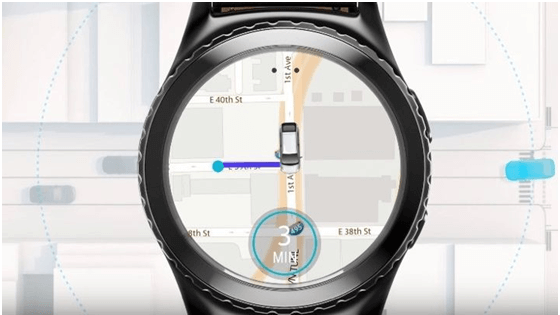 Find your car with your Galaxy smartphone plus Gear 2 and Gear 3 watch. This GPS connected is a utility app that help you find your car. It coordinates with your car and synchronizes with smart watch helping you search your car on the parking lot also showing you the way and distance to go. You can also leave yourself a voice memo to remind yourself “Car is parked by red bollard” or “Never let the kids eat ice cream again”. Interesting! Ever watches read the news for you. Yes it is no magic with this app as Flipboard makes it work well, distilling stories down to the need-to-know facts. 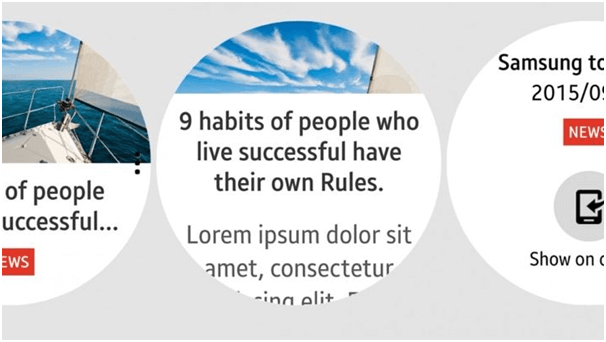 You can then tap a button to open the full story on your phone should you want to dig into the story of it. Glympse’s function is simple: let people know where you are. 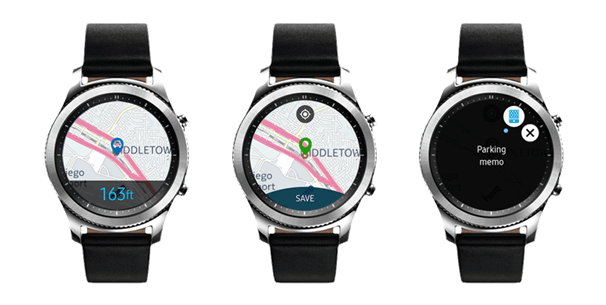 With the app, you will be able to easily share your location with just a couple of taps on your Gear S3. 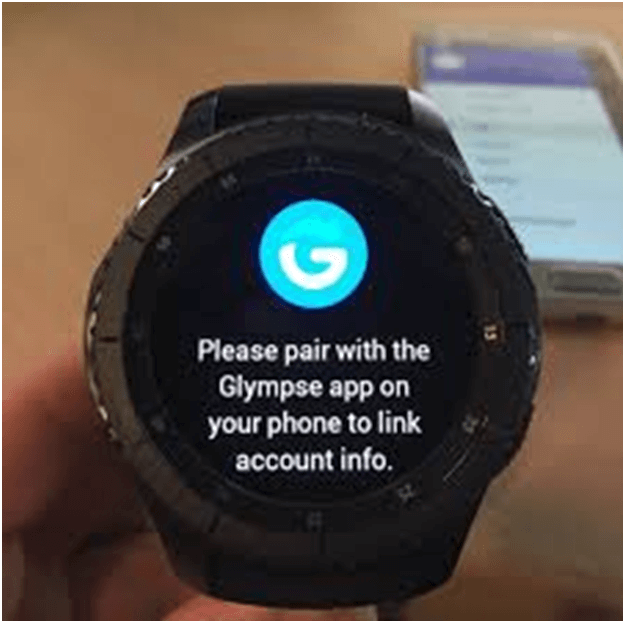 In addition to location sharing, Glympse for Gear S3 will let you request a location from your friends that are using Glympse. You can also mark certain contacts as favorites, and view incoming Glympses right on your smartwatch. Fruit Ninja app is replica and good fit on Samsung’s watch, letting you command with a lot of precision and enjoy games. 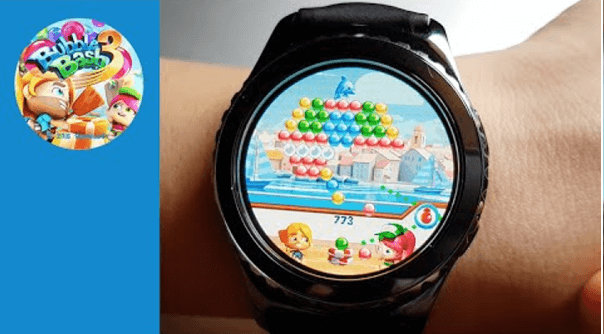 Ported games on a smartwatch often look clunky and unseemly given the device’s small screen, but Fruit Ninja is the antithesis to this, offering users precise controls that make playing it on a smartwatch less tedious. It can get a bit jittery every now and then, sure, but the snags are minimal and far for game-breaking. What is good is that it’s free. Pear is free app and works without your phone, offering audio coaching and tracking heart rate, distance and calories and distance by rotating the bezel, and simply tap the screen to stop or pause your workout. To download the Gear app, search for PEAR Sports in the Gear store. 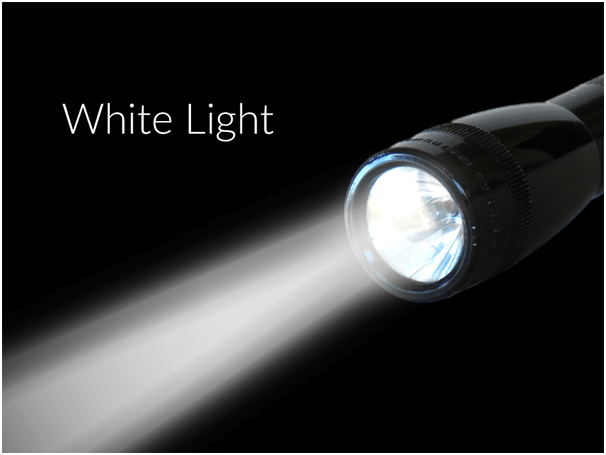 White Light is a drop-dead simple app, but one that’s extremely useful. No need to fish out one’s phone to use a flashlight, as White Light can do the same for one’s smartwatch. The app ups the Gear S3’s LCD on command, which is very useful in moments when a light source isn’t readily available. 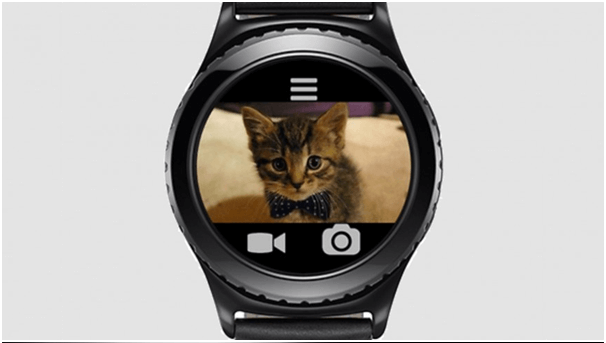 Now you can turn your smart watch S3 into a remote photo and video shooter. The app streams the image from either your phone’s front or rear camera to your wrist, where you can remotely capture or set a timer. It also supports a flash mode. 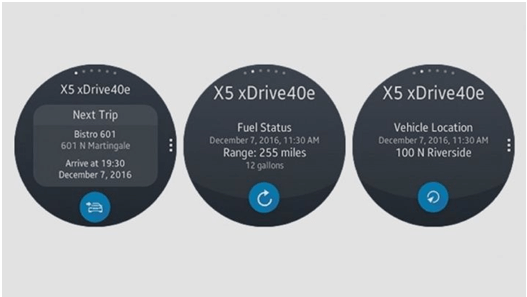 The BMW Connected app allows you to lock/unlock doors, check how much fuel is left in the tank, view details of your next trip and, conveniently, check just where exactly the car is – all from your wrist but with a condition, you need a BMW vehicle. Here we go app makes city navigation effortless. With detailed routes, turn-by-turn guidance and information about every way of getting around, it’s the only app you need to get through the city. 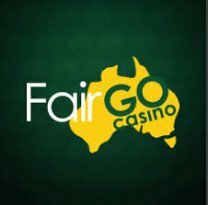 On the move, Here we go gets you to your destination with ease. Turn-by-turn voice guidance for drivers keeps you stress-free behind the wheel. If you’re walking or taking public transport, you’ll know every step and every transfer just when you need it all by looking at the Samsung smart watch. 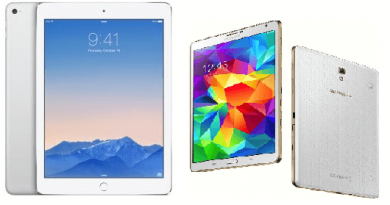 Samsung sometimes takes flak because their preloaded software doesn’t quite rise to the level of their devices. But the S Health on the Gear S3 is surprisingly robust. It includes all of the basic fitness tracking features, such as heart monitoring, step tracking, and even an easy, one-touch way to track how many glasses of water or cups of coffee you drink through the day. But it also includes a comprehensive fitness tracking feature, which tracks activities like running, cycling, and yoga. The Xenozu player is free to download in Galaxy App store, Gear section. 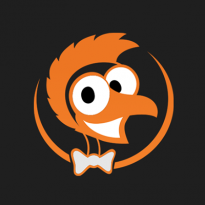 The app is a Youtube video player for your smartwatch. With the app, you can watch your favorite Youtube video right on your Gear S3. 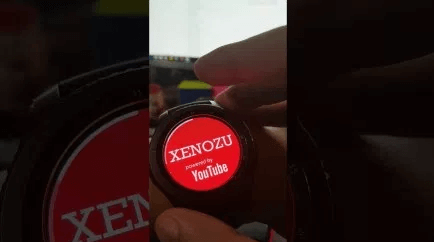 The Xenozu Player allows the user to search for your favorite videos on Youtube, play, pause forward or adjust the volume of the video by rotating the bezel. 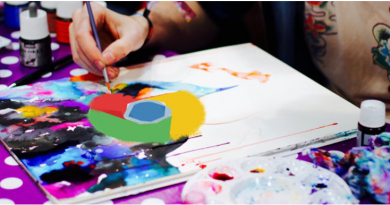 The UI is pretty simple and direct, select from different categories option such as Popular, Film and Animation, Sports, People and Blogs, Games,Travel and Events, How To and Style, Education, Comedy, Autos and Vehicles, Pets and Animals, or if you dont like the following options you can search for a particular video. 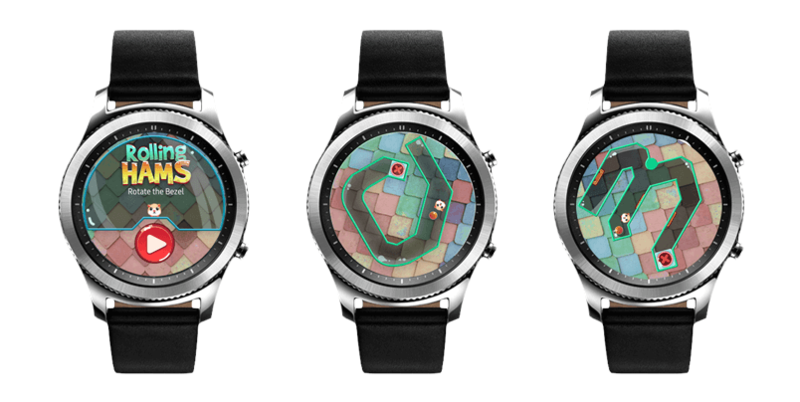 Rolling Hams, a totally free game, where you guide a pig through a puzzle by turning the Samsung Gear S3’s bezel. It’s more challenging that it sounds. You’ll spend ample amount of time trying to solve the more difficult levels, which require you to dodge obstacles and twist the bezel with near-surgical precision. One of the best alarm clock apps with sleep cycle tracking is just as good on Gear watches thanks to its companion app. Sleep as Android’s “Smart wake up” feature will use magic complex machine learning algorithms to find just the right moment to trigger an alarm and wake you up gently. 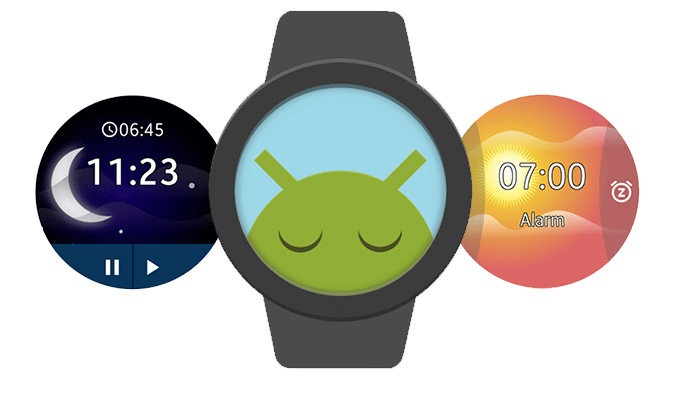 Sleep as Android can also track your movement in bed overnight, which is directly related to your current sleep phase. This way the app can tell whether you are in a deep or a light stage of sleep and employ the aforementioned “Smart wake up” feature, among other things. The companion app also allows you to snooze/dismiss alarms from the watch directly, which is also a nice feature. Now enjoy all these apps on your Samsung Android smart watch.